Behind this impressive legend, called Nicolas G. Hayek, with a reputation of rebellious and provocative, there is a charming man with a child’s heart. Life has taught him to be wary, but once confident, he reveals a character full of humor, very friendly and very human. Despite his brilliant success, he kept the same motivation for work and this force that can move mountains. “I’ve never worked, I had fun all my life,” confesses Nicolas G. Hayek in Basel, in a memorable interview, punctuated by laughter and confidences. Mr. Nicolas G. Hayek, you are a legend, and instead of enjoying life, you continue at the age of retirement, to create you own challenges, why? I think there is a difference between a manager and an entrepreneur. An entrepreneur is an artist who creates beauty, who creates new wealth, who creates jobs. Have you ever heard of Picasso retiring? An artist does not retire. Personally I do not feel the need to rest. I had fun all my life. I often hear “In Forbes you are on the list of the biggest billionaires in the world, why don’t you live the dolce vita?” In fact, I have a house in Cap d’Antibes, with two pools. In all my houses, I have covered pools where I swim in the evening after work, I like to laugh … That said, for me, life is to create substance and I am creative. I created happiness around me. I created wealth around me. When in the 80s, factories in distress in over 400 villages, one third of Switzerland, were on the brink of bankruptcy, I proposed a plan of reorganization of the Swiss watch industry that has generated a lot of jobs and improved the standard of living of many people on the edge of unemployment. This is the beauty I create. That’s why I’m a legend, not for the money I won. I am far from being a businessman. This is how I amuse myself, this is my retirement. Don’t you think you took risks by buying in 1999, the Breguet factory? Calculated risks, one must take them in his life. It was at the age of 25 that I took my biggest risk. I wanted to create, as a young Lebanese immigrant in a foreign country, not speaking German yet, a society of consultations, to offer my advice to Swiss companies, also being responsible of a wife and two children. I was actually married at the age of 22 years. I was always the youngest in all meetings, including the German government where I was the only foreigner in the strategic group of German Chancellor Helmut Kohl who particularly liked me and listened carefully about my opinions in the presence of Heads of companies like Mercedes Benz, Head of union workers, and important German politicians. For Chancellor Kohl, I was the little genius of creativity. 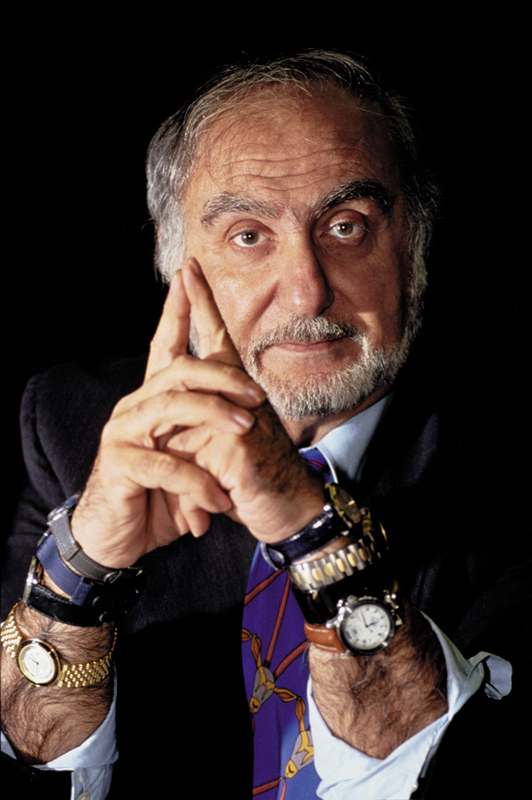 What was Breguet’s contribution in the Swatch Group? Why did you reproduce identically Breguet No5 ? Abraham-Louis Breguet watches were all numbered. Breguet No5 watch is a pocket watch realised in 1794. It is a perfect example of aesthetics and one of the few perennial of the time with silver guilloche dial. I gained it during an auction at Sotheby’s in New York for 1.2 million SF. An important head of state having noticed it in our catalog insisted to buy it; it was an automatic. I did not want to sell it, I offered him to manufacture the same. He ordered four. 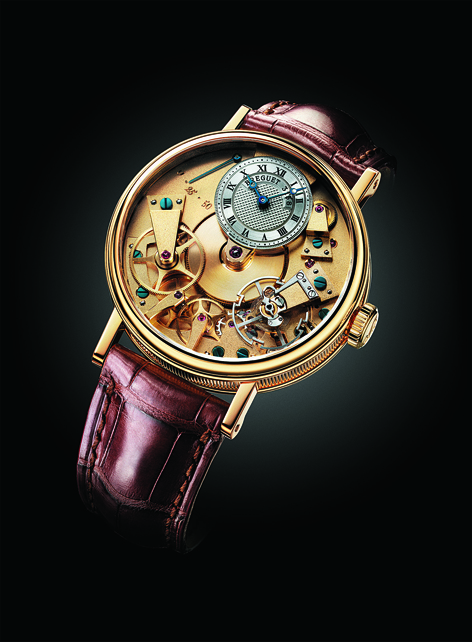 The best master watchmakers of Breguet have dismantled it and been able to create a new in eighteen months. Meanwhile our customer has ordered other two with manual winding. He has paid a total of 8,000.000 Swiss francs. 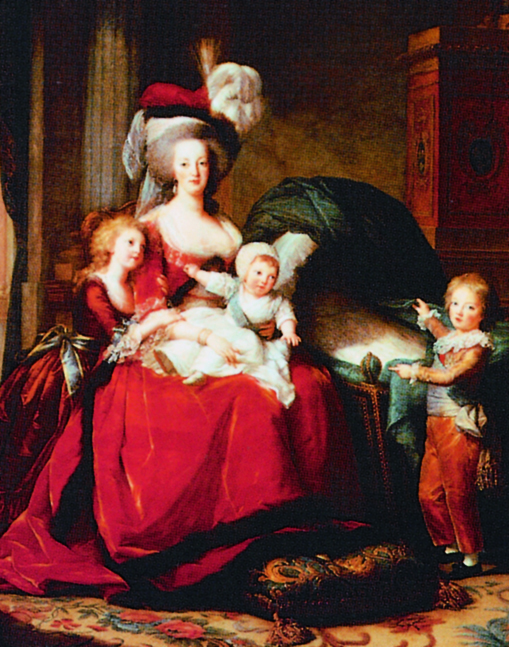 What is the enigma of Marie-Antoinette watch? It is in 1783 that this watch, the most complex of its time, with all the known watches functions is ordered at Breguet by a lover of Queen Marie-Antoinette. Unfortunately the Queen was guillotined and it is only forty-four years after the order and four years after the death of Abraham-Louis Breguet’s, that the famous watch is finished. If Marie Antoinette had not died in 1793 she would have received her watch at the age of 73 years. The watch changed owners several times before belonging to Sir David Salomons. After his death, his daughter Vera Salomons, donated it to the museum, LA Mayer Museum for Islamic Art in Jerusalem, where it was burglarized in April 1983. I had the idea of ​​giving $ 10 million to recover it, but I’ve changed my mind to avoid potential conflicts with the museum and the insurance … I will reproduce in our own workshops movement of the watch. It will not be so simple as long as we do not have the model, as No.5, to run it. I turned to the best master watchmakers of the world who are currently working from photos and descriptions we have in our possession. 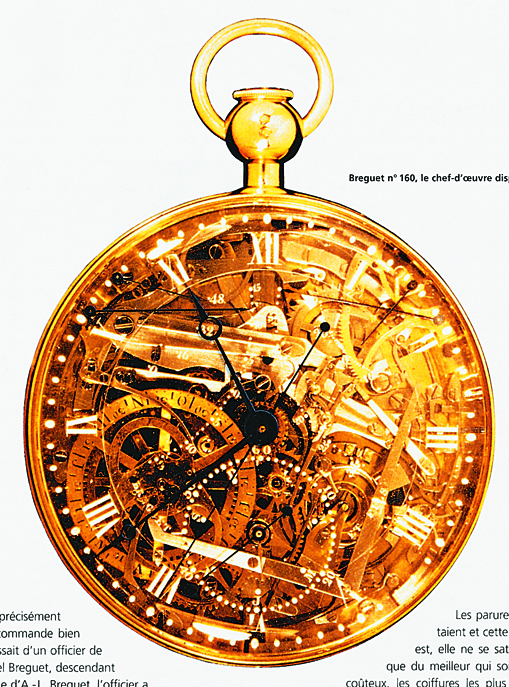 The most complicated watch ever made by Breguet was to Queen Marie-Antoinette. Mr. Nicolas G. Hayek, why Breguet, famous for its Tourbillon movement and spring, communicates with women? (A big knowing smile). It is the intuition of the entrepreneur. I have long understood that 62 to 65% of the watches we sell are purchased by women. They buy for themselves and their men, on whom they have much influence. It was necessary to bring them into the world of Breguet. 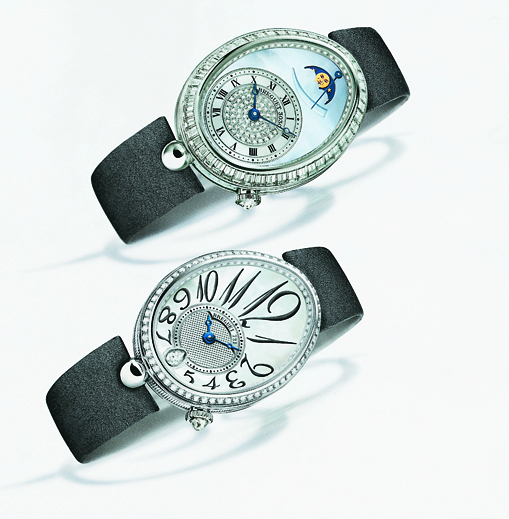 I noted that Breguet, except the pocket watch Marie-Antoinette, made little feminine watches. The model for men was reissued in small format by adding some diamonds. I then developed the feminine model, the “Reine de Naples.” Initially, nothing but discontent around me, considering this project, egg-shaped, pure madness. I asked an Italian designer, extremely competent to perform the required design. “It’s beautiful, but it is not Breguet” I heard him say. Finally when the “Reine de Naples” was exhibited in Basel, the echo was very favorable. While in Geneva, before the store of the ambassadors, Queen Noor of Jordan fell in love with this watch and did not hesitate to purchase it. In Russia, an exhibition held at the Hermitage Museum in St. Petersburg has registered a record attendance, 250,000 fans attended there for months; it was the highlight of the European Cultural Season. The Russians, men and women are passionate about Breguet watches. Do you have factories in China? Apart from watches, in China we work on lasers, quartz electronic parts. A new watch has been launched in New York by Bill Gates and my son, and I do not deny that the former CEO of Hewlett Packard, during a conference in the United States, Las Vegas, admitted that the Swatch Group is the largest specialist in the world of miniature electronics. We also manufacture automotive parts, movements for Chinese watches. It must be said that the Chinese produce watches for only 5 SF, they make profits of 100 million, then come back to buy watches of the Swatch Group for 300.000 SF. Nicolas G. Hayek, king of watchmaking, you change strategy. Jewelry with Breguet, Leon Hatot, Omega and Swatch, you come in force in the jewelry market, while in general it is the jewelry that comes to watchmaking. 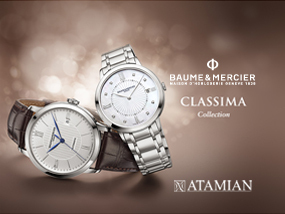 If we evaluate the potential of the watch market to 45 billion euros, the jewelry is valued at more than 500 billion euros. 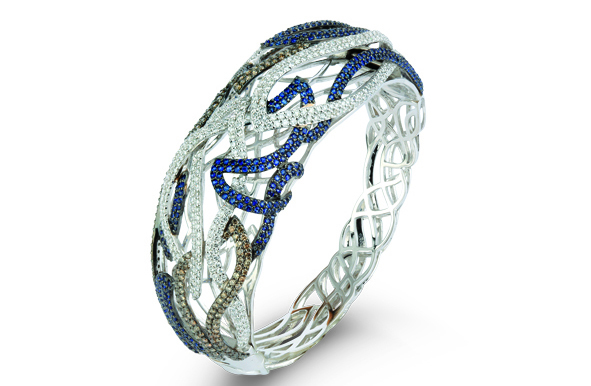 The jewelry market is a growing market. Jewelers who enter the world of watchmaking come get parts for their watches from my factory, while it’s in our workshops we create our jewelry. The crimping of jewelry and watches is virtually the same. Initially, we did perform this work outside of Switzerland, now a highly sophisticated crimping is done in our own workshops. 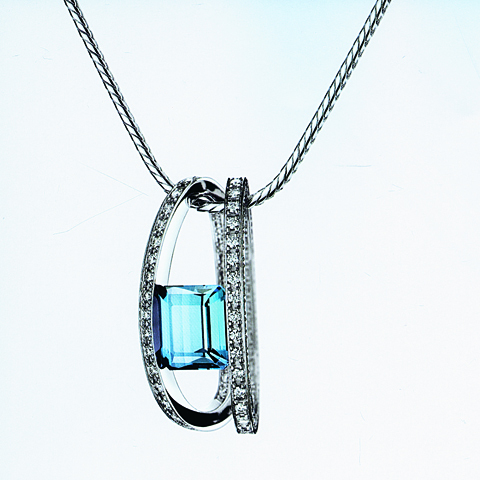 In addition, a watch and jewelry are sold in the same shop, and we already have our distribution system. It is rare to hear a woman say she has enough jewelry, while many of them say they have enough watches. Women have been my greatest allies during all my life. I want women to rejoice while entering my shop. Today women work and earn their own money, they become more independent. Moreover, among the eight members of the Group Executive Management, there are two women, including Arlette Emch. She launched the Calvin Klein fashion watches that have registered an increase of 45%. It is her who leads the “jewels” department of the group baptized DYB (Dress Your Body) with a turnover of 200 million SF. To move forward, we must invest. 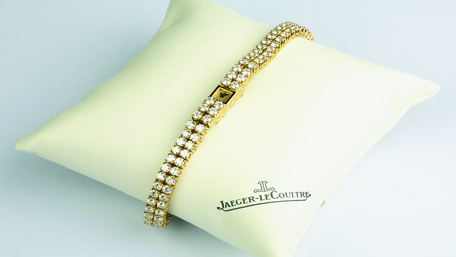 To remain a world leader in the market of watches and prestige, we must invest in jewelry. Have you ever been disappointed to receive ingratitude in return? With all these responsibilities, do you find time to relax? I refuse to go to cocktail parties, already since my young age when in Lebanon, my uncle and aunt incited me to accompany them to parties, in a fancy outfit and necktie, and where guests chatted without even listening to their interlocutors. Anyway, I am writing a biographical book where I tell all these memories that stand out. Here, the Swiss government is desperate to see me at cocktails. On the other hand, I do not enter the boards of major companies like Swissair and banks, but only in the board of directors of polytechnics, public interest and commissions in the European Economic Community, although Switzerland is not part of the EEC, since this is where I can help. I love substance, I refuse superficiality. I was already granted several titles: the king, the emperor, and recently the lord of watchmaking. I think I’m very loved in Switzerland. 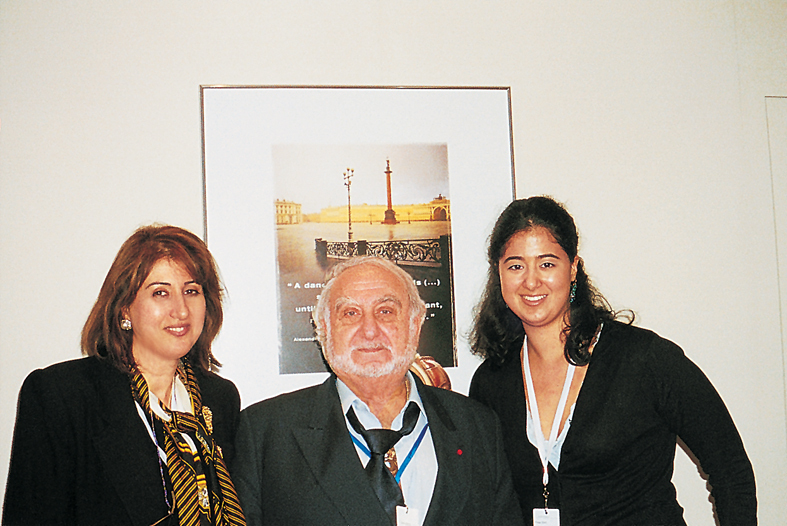 Mr. Nicolas G. Hayek, you are Swiss, of Lebanese origins, what memories do you keep from your homeland? There are always the good and bad memories. Let’s start with the bad. It is the elite society of Beirut that harmed me the most, this society for which only money counted, chicanery and cocktails. But where is the civic feeling for Lebanon? The important thing was to know who is the most fortunate. This lack of substance in this society revolted me. My mother, a native of Shekka born Tamer, was unhappy because her brothers had more money than her. I was then twelve years old and she already saw me as the man of the house filling somewhat the absence of my father who because of World War II was drafted into the army. Fortunate enough at the time, my father sold each year a plot of land in order to meet the growing needs of his three children. I keep great memories of Bechmizzine, the village of my father where I went during the weekends while my mother preferred fancy places like Aley and Brumana. I remember the villagers taking their breakfast in the morning in front of their house. I loved to harvest wheat and olives nearby. I felt good, where there were horses and trees. In fact, when I received a letter from a distant cousin and friend asking me to help the school and a scholarship for students in my village, I was involved with all my heart, quietly. I do not like to talk about this, the Swatch Group has also sent to the tsunami stricken population 2,500.000 Swiss francs. Don’t you want to go back to Lebanon? My wife and children have already visited Lebanon, my daughter Nayla even asked for a Lebanese passport. It has been 56 years, since 1949 I have not been in the country, despite the title of Doctor Honoris Causa that I was awarded by the American University of Beirut two years ago, and wished that I give a speech. Frankly I dread to go to not be forced to refuse all invitations that will be made in my honor. They want me to extol. I don’t want to be honored because I am rich. I am a normal man.